Contact Loretta on 0421 824 397 to arrange discount offer. Any missed classes of your course can be made up at other beginner classes on our timetable within the duration of the course. Fully equipped yoga studio with experienced teachers to learn the foundations of Iyengar yoga. A great eight week introduction to the basic postures building strength, flexibility, postural balance, relaxation, inner confidence, and increased energy. Students often experience benefits from their first class. These benefits may include improved sleep, reduced stress, reduced anxiety and depression, lowered incidence of headaches, decreased tension and fatigue, and improved digestion and overall health. The beginners' course is for the complete beginner to yoga or as a refresher. 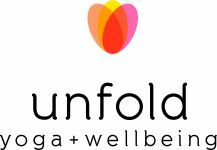 Teachers at Unfold Yoga are experienced to modify poses for those who come with injury or restricted mobility.